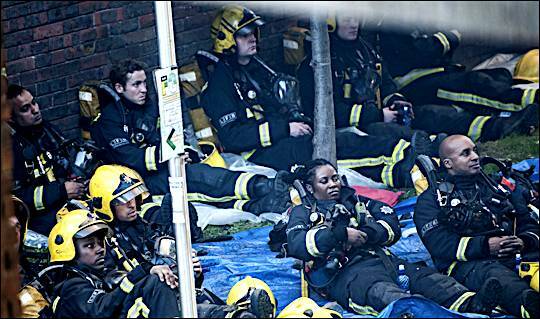 The exhausted firefighters at the Grenfell Tower Fire. Whoever you are, we salute you. Not just for your efforts but for what you have seen and experienced. As an aside, this writer's neighbour has two sons, 14 and 16. They have torn down their Marvel superhero and football player posters. They both want to be firefighters, now. Finally you get the credit you have deserved for decades. We hope you get counselling if you need it. We suspect you will need it. "We've never worked harder. We gave everything. 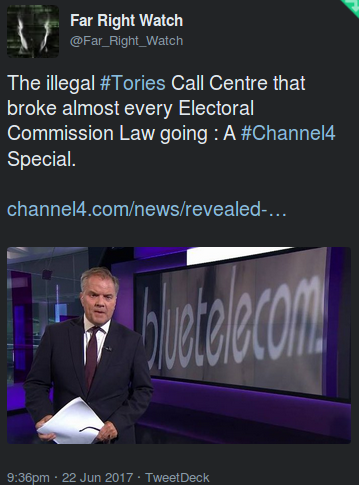 Channel 4 News, who seem to be the only ones really highlighting Government corruption, for exposing the illegal Conservative Party Call Centre during the recent General Election. Electoral Commission now investigating this. We'd know nothing about it were it not for C4. 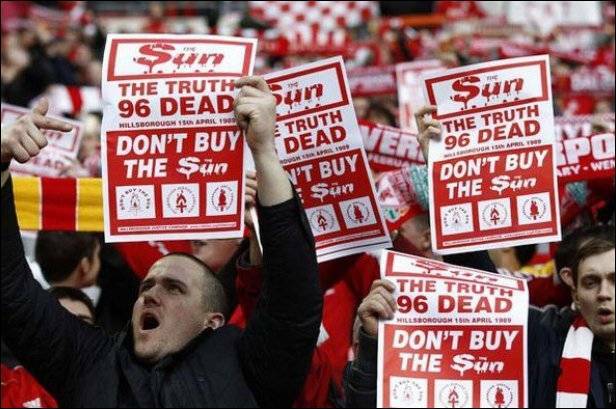 The campaigners for Justice for the 96 after the Hillsborough Disaster. Finally, after 28 years, criminal charges against those responsible. The clear lesson learned here is: Whatever your cause, if you know you have Truth behind you, never quit. Never give up. 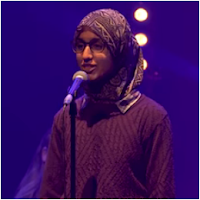 Suhaiymah Manzoor-Khan in the London Slam Poet Final, who stunned the crowd with her work, This Is Not A Humanising Poem ... which quickly went viral. She spoke openly and honestly about what it's like to be a muslim woman, constantly having to validate her very existence. 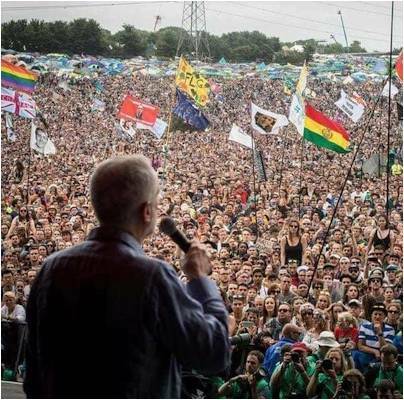 Jeremy Corbyn, for his 'rock-star'-like appearance at Glastonbury. We've never seen the like of it. No-one has. He delivered a stunning speech. Of course, he received criticism for 'politicising' the event. We gets the impression he barely has to step outdoors to get attacked by some of the media. 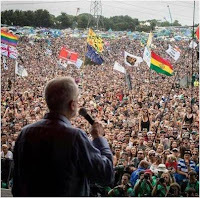 Far more importantly - Glastonbury loved him. Mohammed Mahmoud, the imam at the Finsbury Park Mosque, who stepped in to protect the suspect, Darren Osborne, from physical attacks from bystanders after the Finsbury Park Mosque Terror Attack. A man of faith, walking the walk. 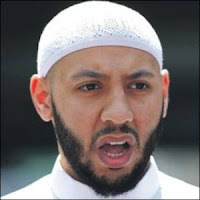 Islam needs positive role models like this man. 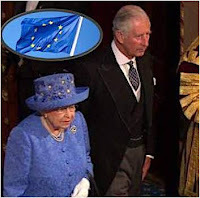 Her Majesty the Queen for trolling Theresa May and all the Brexit'eers, wearing a hat for the Queen's Speech which looked very much like the flag of the EU. Intentional? Maybe. Okay, perhaps not. Still bloody funny, though. 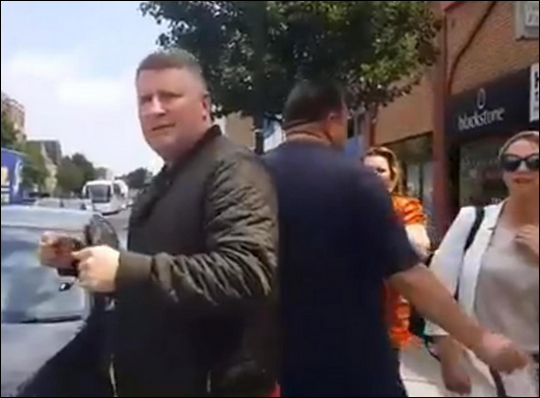 Britain First's Paul Golding. 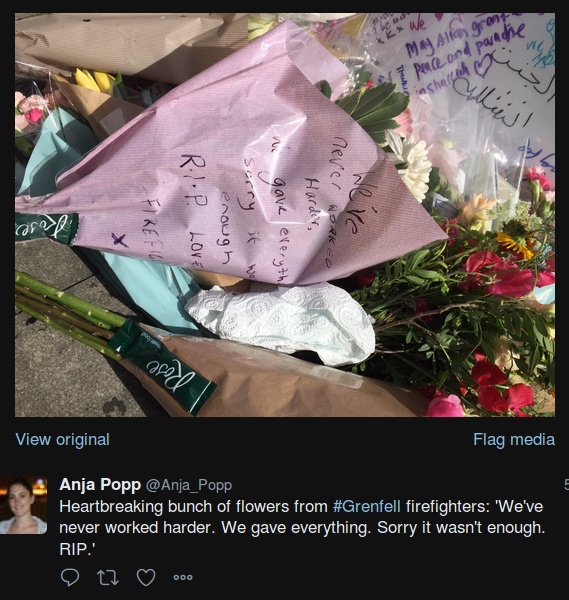 Never one to miss a chance to gloat over gruesome deaths for political reasons, on the day after the horrendous Grenfell Tower Fire, he and his film crew turned up at the East London Mosque, one of the centres for aid and assistance. Was he there to lend a hand? No. As Muslims pitched in to help the victims and dispossessed of Grenfell, Golding's agenda was a little different. 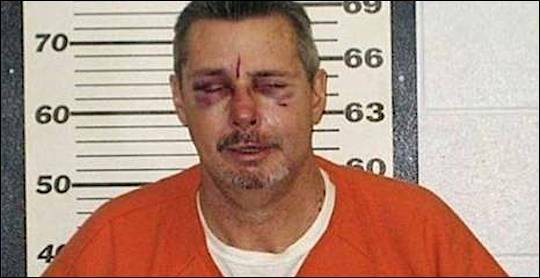 He proceeded to bait, harass and provoke the hard-working volunteers. 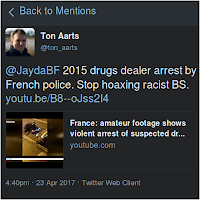 Britain First, again, posting an 'amateur video' of a 'Islamic terrorist being arrested yesterday just before a planned attack'. 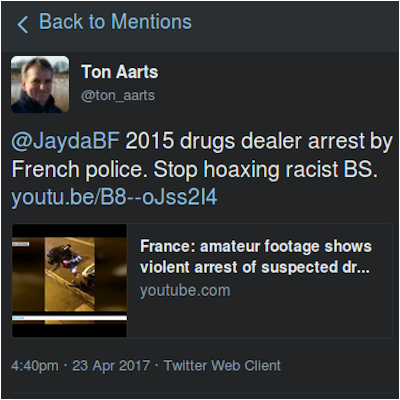 Mr @ton_aarts on Twitter correctly pointed out the video was of a drug dealer being arrested, over 2 years ago. Britain First do this a lot. And their followers believe every word of it. 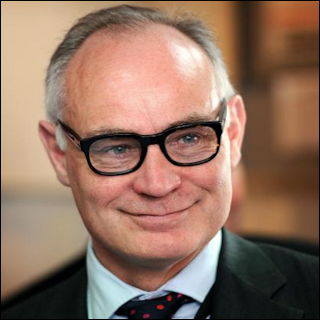 Tory MP Crispin Blunt (Reigate, Surrey) displaying astonishing arrogance, condescension and a patronising sneer worthy of Marie Antoinette, stated after the General Election that "The electorate have plainly got it wrong". He was slammed from all sides, even his own party. The result clearly showed that in fact it's the Tories who "got it wrong", having their majority demolished. 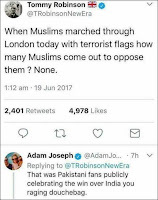 Former EDL and PegidaUK 'leader' Tommy Robinson aka Steven Yaxley-Lennon aka half a dozen other names, who moaned on Twitter about Muslims marching through London with Terrorist Flags. 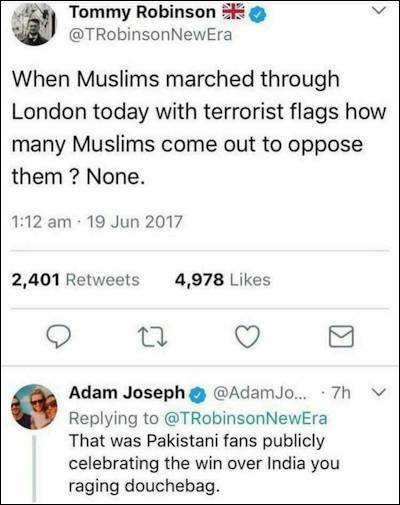 It was pointed out to him by many, including Adam Joseph that they were, in fact, cricket fans celebrating the Pakistan win over India in the ICC Champions Trophy. 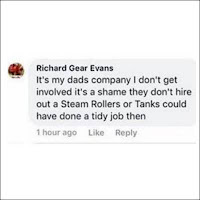 Richard Gear Evans, the son of the owner of the Vehicle Hire Firm that leased out the van used by Darren Osborne for the Finsbury Park Mosque Terror Attack. 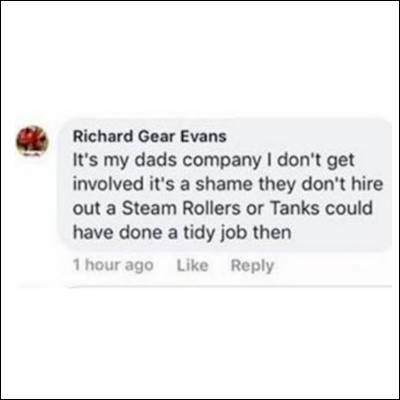 He stated on Social Media that it was a "shame" they didn't lease out "steam rollers or tanks" so that Osborne could have done a "proper job". He was suspended by his employers, the famous truckers Eddie Stobart and later fired. Ukip's Arron Banks, who owns and runs Brexit Campaign Group Leave.EU. This group is now being used by Banks to promote his Insurance Business, 'GoSkippy', with corporate logos appearing on posts and videos. 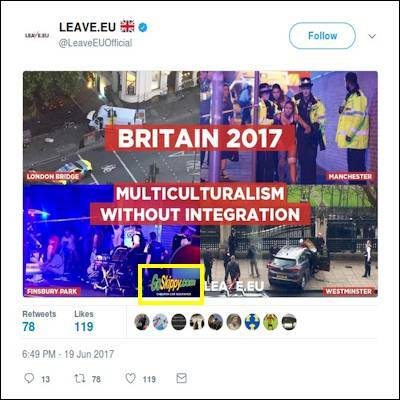 So if you donated to Leave.EU, bravo you. Your cash is being used to subsidies free advertising for a multi-millionaire. 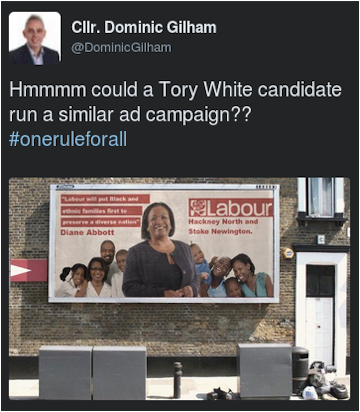 Tory Councillor Dominic Gilham,who unbelievably fell for, and promoted, the famous photoshopped and libellous poster of Labour MP Diane Abbot. This fake dates back years, has been busted for ages, but still circulates on Far Right websites. 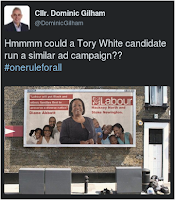 One wonders what websites Dominic frequents, that he would spot this and reuse such a long-busted falsehood. 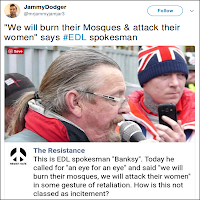 The Extremist Far Right EDL (English Defence League) who's spokesperson at their washout 'demonstration' in London called for "White Suicide Bombers". "We will burn their mosques and attack their women", he announced. As 'Incitement to Violence', this is worthy of arrest and criminal charges. 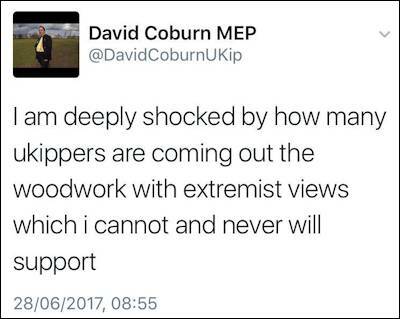 Finally, Ukip's MEP David Coburn. We've tried to tell him for years of the extremism within his own party, He's flatly denied it exists. 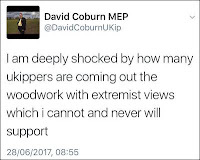 Finally, in a moment of realisation, he posted that in the early stages of the Ukip Leadership Election, he was "shocked by ukippers extremists views". (Later deleted) We did tell you, David. And you were in a position to deal with it. Too late. 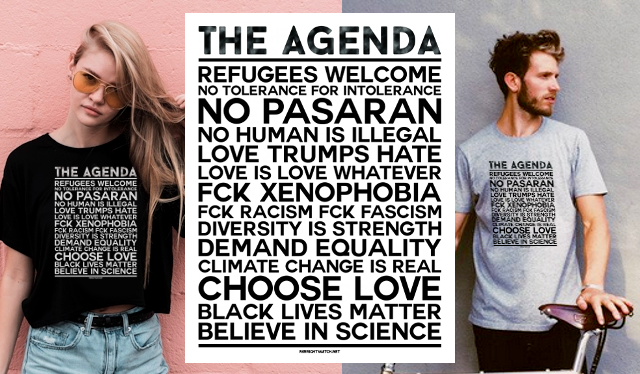 Maybe we shouldn't glorify violence (okay, we really shouldn't). But when a fight broke out within a Klu Klux Klan Branch meeting, we did laugh. Reason : They were arguing over who was the most racist. Yes, really. 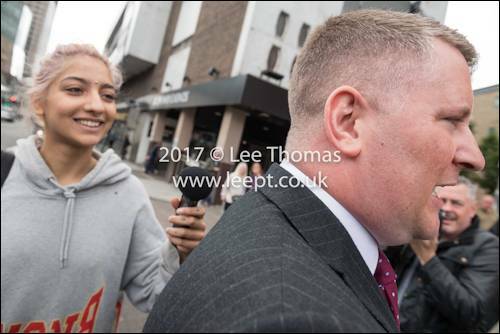 Paul Golding of Britain First who usually loves the media spotlight but ran like a coward when faced with Saffiyah Khan who was our Hero for April, who approached him with a microphone. Cue the sprint. 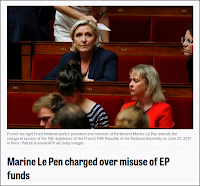 National Front's Marine Le Pen, humiliated in the France Presidential Election, her Part all but sidelined in the French Assembly Election .. and now charged officially with multiple counts of mass fraud over a number of years. There's just something about the Far Right and Financial Fraud. 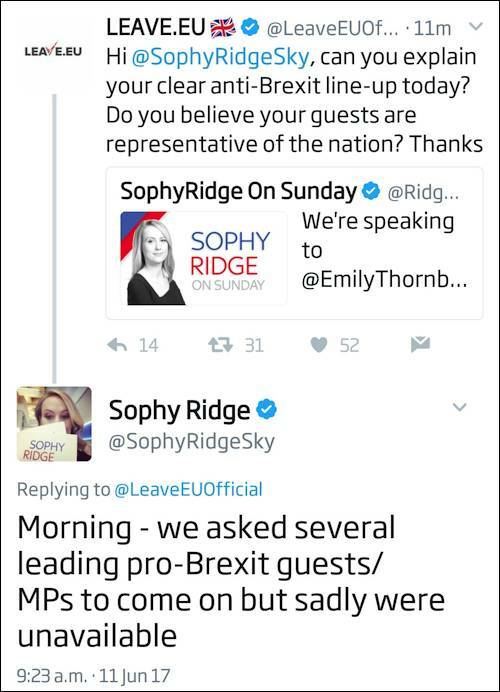 Brexit Group Leave.EU who moaned about 'media bias' after Brexit was not represented in a discussion on Sky hosted by Sophie Ridge. Only to be busted by her reply, that several pro-#Brexit guests were invited, but none would agree to appear on TV. 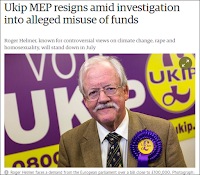 Ukip MEP Roger Helmer, who announced his resignation without giving a particular reason. The day before, it was revealed he will face multiple Fraud charges over his expenses. But we're sure that's just coincidence. Right. He'll have more time for his regular trips to back-street massage parlours now. We finish with the best Laugh of the Month - another resignation of another Ukip Leader. 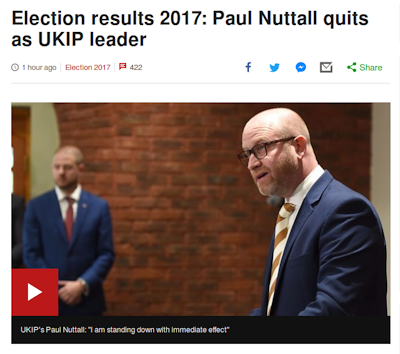 Paul Nuttall resigned. Wiped out in the General Election, no seats, and a vote share of a miserable 1.9%, Ukip are now relegated to the status of a minority part, and thrown into a Leadership Crisis, even Civil War, between the two wings.